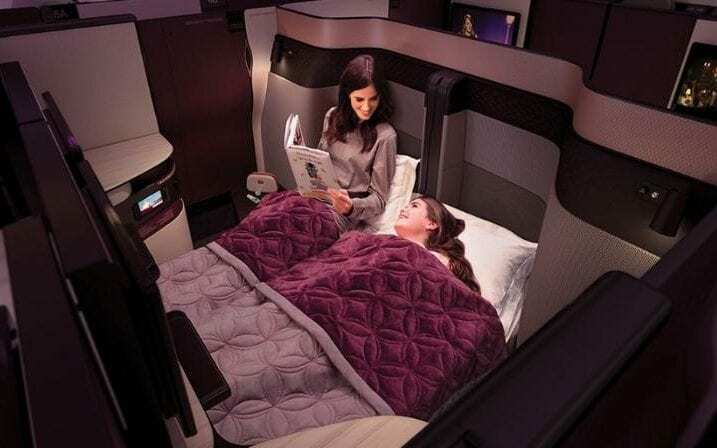 Qatar Airways has unveiled a long-awaited upgrade to its Business Class product at the travel trade show ITB Berlin this week. With the intelligent slogan ‘First in Business’ – referring to a product which really combines elements of both a First and Business Class seat – the Qsuite will feature sliding privacy doors, much like you can currently experience in Singapore Airlines and Emirates First Class Suites as well as on Korean Air’s Boeing 747-8i aircraft. The two middle seats will convert into a double bed, again just like in Singapore Airlines First Class Suites. And there will be removable row dividers in the middle row to convert four adjacent middle seats into a family room. Which routes will be the first to feature the Qsuite? Doha to London will be the launch route from June 2017 on a new Boeing 777-300ER. 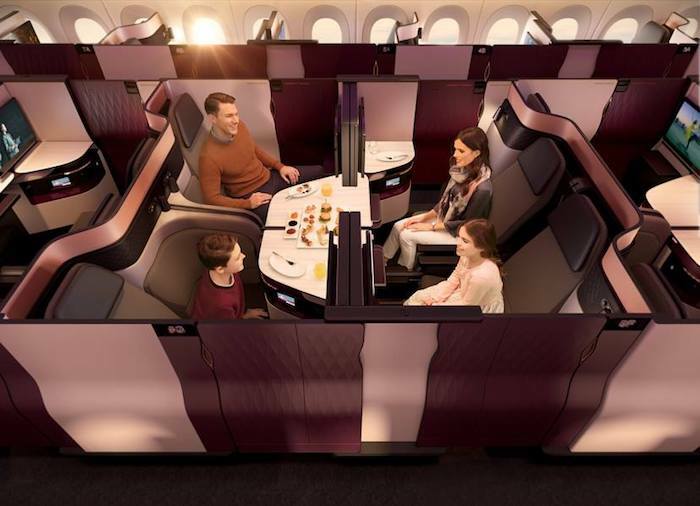 Then you can expect routes to be serviced by the new A350-1000 (of which Qatar is the launch customer) next, as well as a retrofit of Qatar’s Boeing 777 (servicing Auckland) – that’s good news for travellers from New Zealand. The Boeing 777 is in dire need of an upgrade, and given Auckland – Doha is now the world’s longest flight route, it couldn’t come sooner! 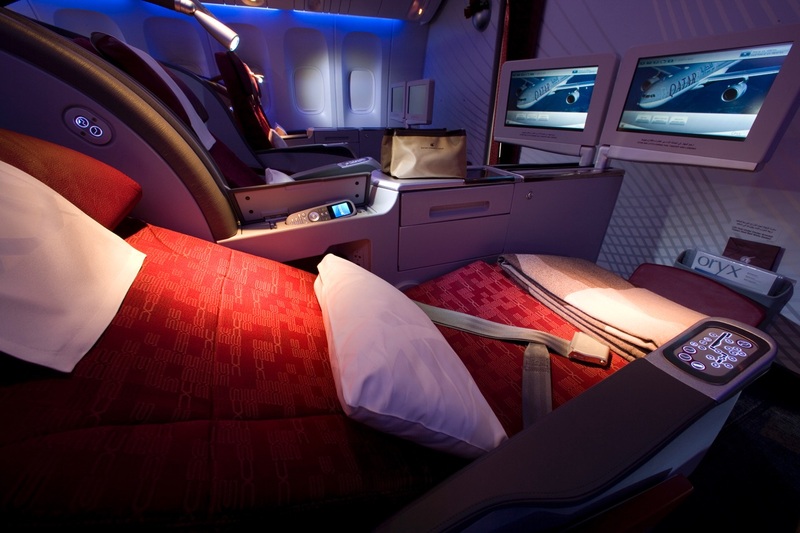 From Auckland, Qatar operates the Boeing 777-200LR with a 2-2-2 full lie-flat beds Business Class configuration. 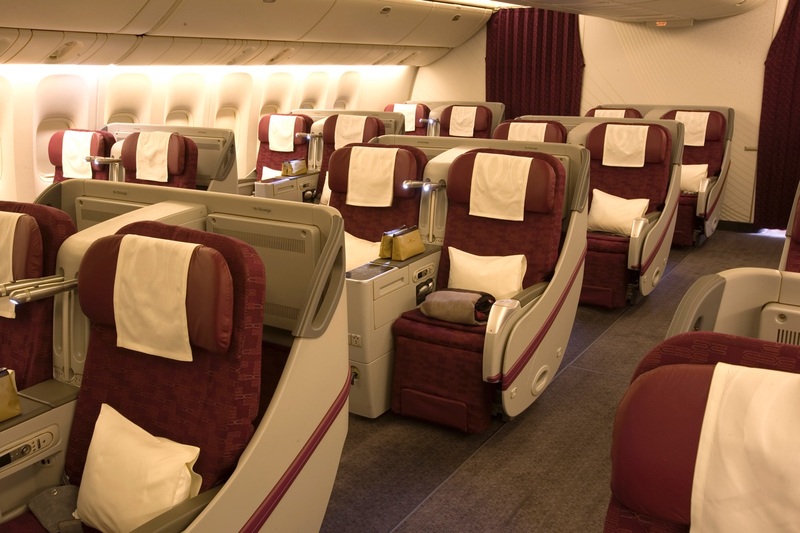 You can read my review of Qatar Airways Business Class on the Boeing 777 from Houston to Doha. Qatar Airways flights show up in the British Airways booking engine, and then, of course, also in Award Nexus. 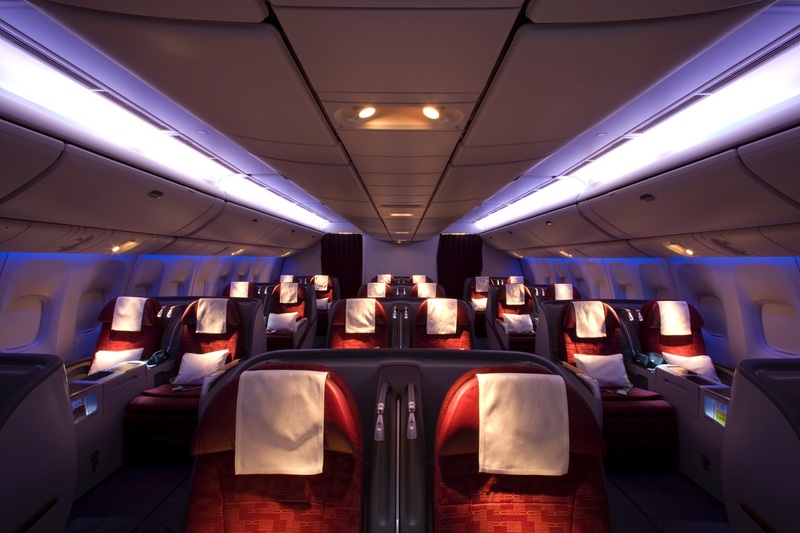 They can also be booked using Qantas Points, AAdvantage Miles, and Asia Miles. Qatar Airways fly direct from Auckland to Doha, connecting to a multitude of European cities – Amsterdam, Athens, Barcelona, Belgrade, Berlin, Brussels, Bucharest, Budapest, Copenhagen, Edinburgh, Frankfurt, Geneva, Larnaca, London, Madrid, Manchester, Milan, Munich, Oslo, Paris, Rome, Sofia, Stockholm, Venice, Vienna, Warsaw, Zagreb and Zurich. Qantas charges 121,000 Qantas Points for one way Business Class, which is more expensive than the comparable Dubai flights flown by Qantas or Emirates at 112,000 points. If you are flying all the way onto Europe with no stopover, you’ll get more out of your Qantas Points by aiming for a redemption on Qantas/Emirates flights as this will come in at 128,000 points in total. By comparison, partner award costs are pieced together flight by flight, costing you Auckland to Doha, plus the cost of the flight from Doha to your final destination. Asia Miles award charts are distance-zone based. 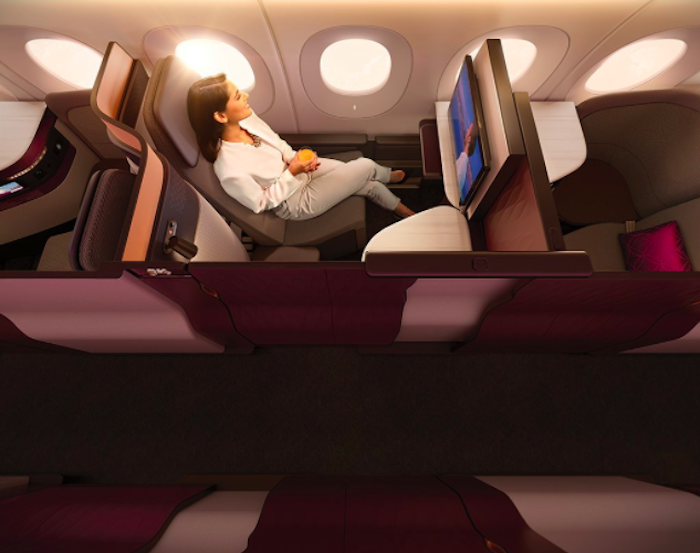 Auckland to Doha falls into Zone E.
For Asia Miles redemptions in Business Class from Auckland, flights cost 85,000 Asia Miles one way, or 145,000 miles return. Asia Miles pass on all taxes and surcharges on partner redemptions, so out-of-pocket costs in cash will be similar to using Qantas Points. While the number of Asia Miles required for a redemption is a bit higher than AAdvantage, if you have a big stack of American Express Membership Reward points, the transfer rate is a cooler 1:0.5, in contrast to 1:0.41 with AAdvantage (via SPG). This means a one-way Business Class redemption will only cost you 170,000 Membership Reward points, as opposed to 195,122 with AAdvantage. Qatar Airways is probably one of the better uses of AAdvantage miles for New Zealand travellers, given the better-than-average redemption availability. It’ll cost 85,000 AAdvantage miles one way in Business Class to Europe, or 80,000 AAdvantage miles to Doha. Granted, these amounts were increased substantially from 60,000 and 45,000 miles respectively in AAdvantage’s March 2016 points devaluation. AAdvantage miles are typically best picked up in a miles purchase promotion. The guide to AAdvantage miles purchases is here, along with a detailed overview of redemption options to Europe. 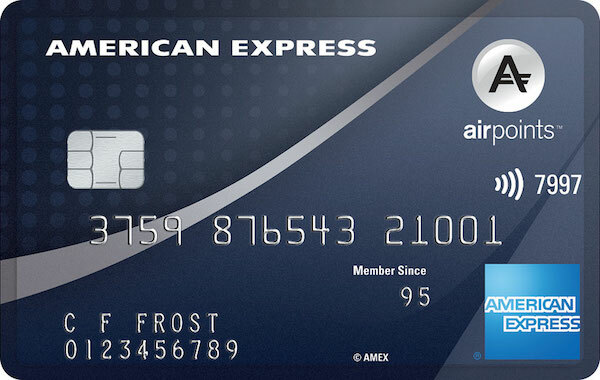 As above, if relying on American Express Membership Reward points, Asia Miles may be the better redemption option. It’s great to have Qatar flying direct from Auckland to Doha. Kiwis have traditionally needed to travel to Australia first for flights to the Middle East, however Emirates and Qatar are now making it easy to skip the ditch flight altogether. 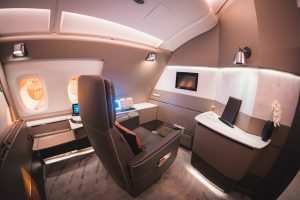 Asia Miles and AAdvantage award redemptions on Qatar seem to represent the best value for flights to Doha and beyond to Europe, with Qantas Points making more sense for connections through its Dubai co-hub with Emirates.